Manufacturers or traders ask for a certain amount of advance in the case of delivery of bulk goods. Most of the service providers also request for advance, prior to the completion of service. There is certain ambiguity among people around the voucher to be issued for advance and treatment in case of withdrawal of service or delivery of goods. A bulk order is received by the manufacturer along with the advance of the order. The manufacturer would need to issue a receipt voucher at the time of receiving the advance.If the order is canceled anytime later than there will be no tax invoice issued and the manufacturer would need to issue a refund voucher for the advance received. In the case of an order for a service gets canceled after the payment of advance, then the service provider needs to issue a refund voucher to the person who made the payment. Ajay Furniture House received an order for 100 chairs at a cost of Rs 1,000 per chair from Kiran Enterprise for their new office. Kiran Enterprise paid an advance of Rs 30,000 for the chairs. Later the order was canceled by Kiran Enterprise. Ajay Furniture House would need to issue a receipt voucher at the time of receipt of the advance and a refund voucher at the time of cancellation of the order under GST. Blazing Courier Services received an order to courier a package to Tamil Nadu from Vimal Suitings Private Limited for Rs 50,000. Vimal paid an advance of Rs 25,000 for the courier. Later, Vimal withdrew the order due to delay by Blazing Courier Service. Blazing would need to issue a refund voucher at the time of withdrawal of the order and a receipt voucher at the time of receipt of advance under GST. Name, address, and GSTIN of the seller of goods or service provider. A serial number not exceeding 16 characters, which is unique for the particular financial year. Date of issue of refund voucher. Name, address and GSTIN or UIN of the receiver of goods/service if registered under GST. Number and date of issue of the receipt voucher. Description of the goods or services sold for which refund is made. The rate of tax under CGST, SGST/UTGST, IGST or cess. The amount of tax paid under CGST, SGST/UTGST, IGST or cess in respect of goods/services for which refund is made. Tax is paid on reverse charge basis or in the normal course. Signature/Digital signature of the supplier or his authorized representative. Make sure all the above details are provided in the refund voucher issued to make it a valid document under GST. 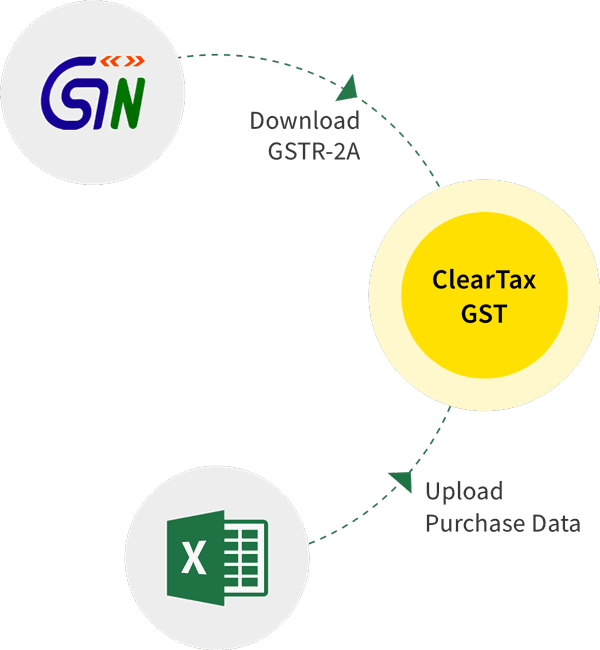 You can generate a refund voucher containing above details on ClearTax GST software.